Welcome to an amazing world where you turn a desert into a paradise with your building skills and military might, should you so choose. Choose the path of magic and the Elves who value nature and create beautiful buildings or choose the progress-minded Humans that are here to develop new technology and magnificent cities. In either case you get to take over and create your own kingdom. Once you have made your choice you are taken to a visually stunning game where every decision you make helps to create a magnificent place to call home. 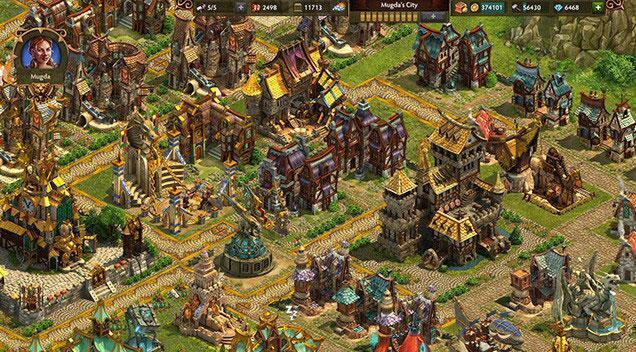 There are many types of buildings in this game and they are separated into 5 different groups – basics, military, goods, culture and settlements. Basic buildings include your crucial structures such as workshops, residences and also streets/ roads which you’ll need in order to link up your construction sites. Without roads, your workers will not be able to transport the construction materials and tools to the construction sites. Military buildings are structures that you’ll need to amass an army. They include barracks, the army and army camps, while goods buildings contain all the factories you’ll need. These factories can produce a variety of vital resources for you, which you’ll then need to use in your negotiation with the locals in acquiring their land. Culture buildings are a bit more different than the others as they act as “boosts” for your residences when you collect taxes from them. You don’t need roads to start their constructions either. Lastly, settlements contain all the special buildings you’ll need to unlock access to new Dwarven technologies, Fairy goods, new materials and more. The city building aspect in Elvenar is pretty straightforward. As long as you have an idle builder, you can construct a building. You’ll start off with 2 builders but you can hire up to 5 of them via the Builders’ Hut. Naturally though, you’ll need gems (premium currency) to recruit them so if you don’t plan on spending any real cash, your city’s progress may be a bit hampered. Buildings in this game can be upgraded multiple times as well... each time resulting in an entirely new and more amazing look for the building in question. Upgrades can be very useful when you’re running out of space in your city, but, on the downside, most upgrades take time to complete. Of course, if you don’t want to wait, you can always speed things up using gems. To unlock new buildings for your city, you’ll then need to invest the knowledge points you have into your city’s technological tree. These points will be regenerated on their own over time, but you can get more by taking over other provinces by force or by negotiations in the World Map. Although the game feels a little slow to start there is so much that you can do, you can explore the area and create a haven to call your own. 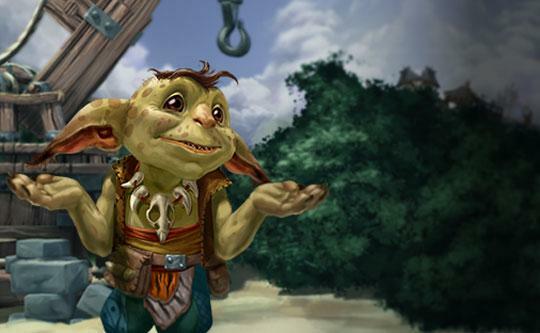 There are quests that will help you and they come with their own large rewards. But where Elvenar shines is the look and feel of the game as you can see the city taking shape. For a free game there is a lot going for this one, so take a look and see what you can make!